Category: Utilities / File Compression | Author: DIMDATA Co., Ltd.
DIMDATA FilePackager is the most powerful and easy to use Self-Extractor tool for the home and ready for business use. DIMDATA FilePackager is designed to let you create high-quality Self-Extractor zip files quickly and easily. DIMDATA FilePackager's powerful Self-Extractor zip files were designed to insight into end user needs and Problems. Unlike most Self-Extractor zip files, which limit changing the user interface, DIMDATA FilePackager can help you create personally Self-Extractor with fully customize the interface. Offer a polished and easy-to-use interface. DIMDATA FilePackager's Self-Extractor zip files also pack plenty of flexibility. You can decide where files should be unzipped to, what happens when they are unzipped, Changing the system registry, Create shortcut, Copy files, and many other things normally beyond your control. Instyler Ex-it! for Windows Installer - Instyler Ex-it! for Windows Installer is a powerful helper application to create single executable files from your Windows Installer (msi, msp, msm) files. Includes Windows Installer version checking and Silent mode support. Fully adaptable. Stardust Wallpaper Packager 2003 - Stardust Wallpaper Packager 2003 easily converts JPEG, JPEG2000, GIF, PNG, and BMP images into self-installing wallpaper files. RedShift - Installation System - RedShift enables you to create a simple, smart looking software installer in seconds. It produces a compact single-file installer ideal for distributing your software over the internet. Features include a realtime preview and JPEG splash screen. Stardust Setup Packager - Stardust Setup Packager provides developers with an easy way to package multiple setup programs into a single self-extracting EXE. Features include digital code signing, password protection, expiration date, welcome prompt, and nested packaging. SkinCrafter Installer - SkinCrafter Installer is a developer tool for skinning of install packages created with Windows installer (MSI files). 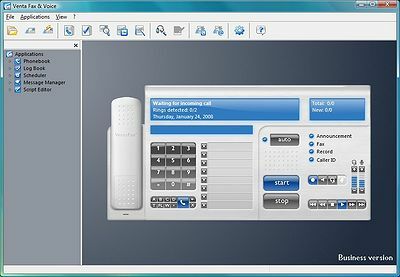 It creates vivid interface for your installation package. SkinCrafter Installer uses SkinCrafter engine for skins implementation. Smart Install Maker - Save time on software deployment by creating installation packages in just minutes. Make full-featured installations with uninstall control and feedback, access to registry keys, INI files, etc. Smart Phone Recorder - Smart Phone Recorder can record your phone calls at an incredible compression rate of 3.7MB/Hour into windows wave files using your computer's voice modem. Easy Pocket PC Installer - Tired of making installers for Windows Mobile based devices? Let EasyPPC Installer free you from complex and hard to use interfaces. EasyPPC Installer works the way you think it should! Advanced Installer Professional - Advanced Installer Professional 4.9 is a Windows Installer authoring tool which enables developers and system administrators to easily build reliable MSI packages.